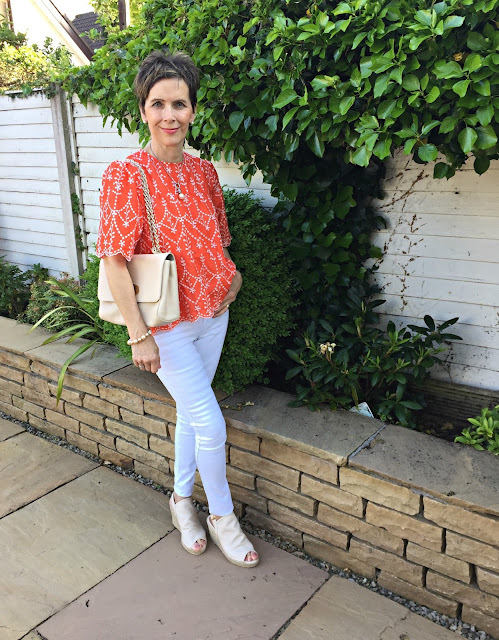 With the sun shining brightly last week it was hard not to ignore and break out some lovely summer colour! 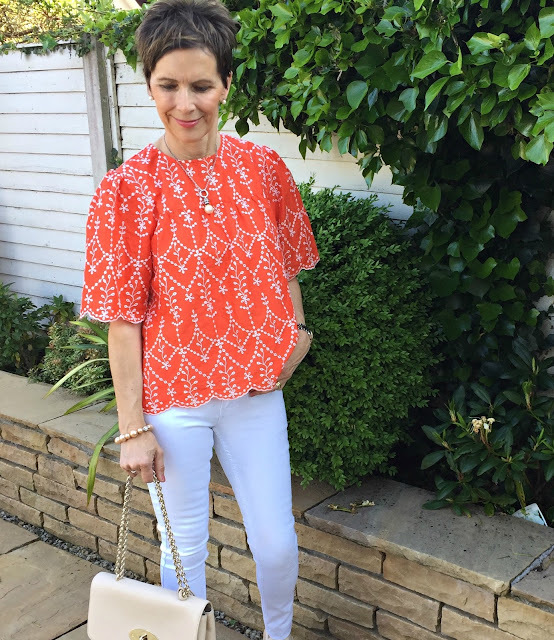 I always love a pop of Orange and spied this great little top in Zara. It was intended for my holidays in Italy which are not that far away now thankfully, but wore it for Sarah’s transition year graduation night last Thursday as it was such a warm evening. I wore it with my white iclothing jeans and kept my shoes and bag neutral. My new beige Mulberry is also proving to be invaluable, as it goes with almost everything especially, at this time of the year. I would also wear this top with my wide leg cream trousers or white cotton shorts or skirt for holidays. Hope you are all having a good week:) Laura was off in France with work this week, so I’m sure she will be sharing some lovely photos later on.